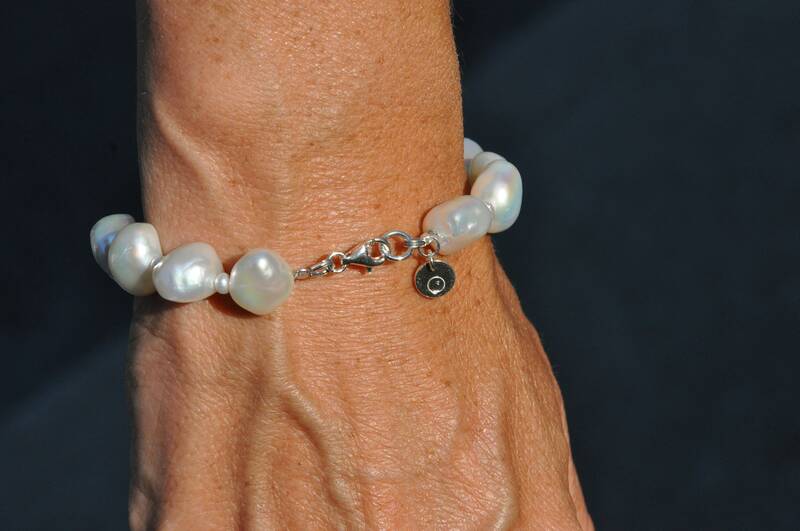 This quietly funky twist on a classic pearl bracelet makes this bracelet staple-worthy. 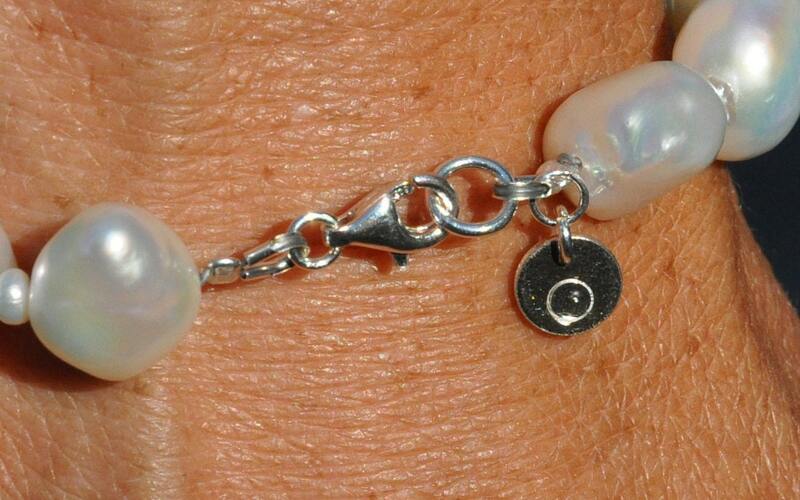 It would look great on a woman of any age, and could be worn with other pearls, or with other jewellery. 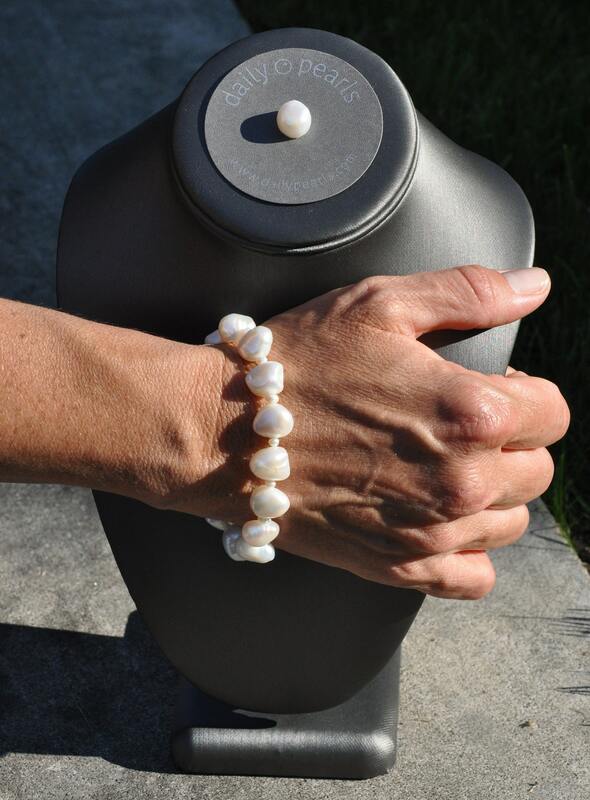 It's a beautiful white, and features tiny baroque pearls in between each baroque nugget.